There are a ton of trading titles out there, including those focusing on option strategies. This book focuses primarily on approaches aimed at managing risk, the consistent theme throughout. By setting it up this way, you can cover different topics while keeping that key objective in mind. So go ahead,jump around to areas that interest you most. 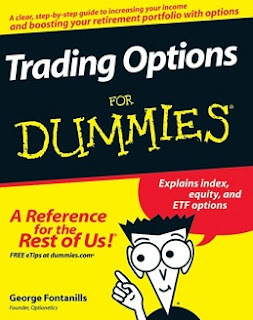 Trading options for dummies can be read from cover to cover or used as a reference guide. Each strategy provided identifies risks and rewards associated with the position. It also identifies alternative strategies to consider for risk management, when applicable. There are a million ways to successfully trade the markets, but certain challenges are universal to all of them. Tools and techniques focused on addressing these challenges are also provided throughout.